This program is designed for infants to explore Gymnastics with their parents or caregivers. Classes will feature songs, games, stretches, circuits, skills/drills and other activities geared for infants. Your child will learn to take direction from qualified Teacher/Coach along with parent by engaging, watching and copy-cat movements. They will be learning the fundamentals of gymnastics, body awareness, social interaction, fine motor skills, locomotion, building strength, flexibility, co-ordination, developing physical literacy & physical fitness, in a playful, SAFE, bright, clean, FUN, state of the art, creative environment. 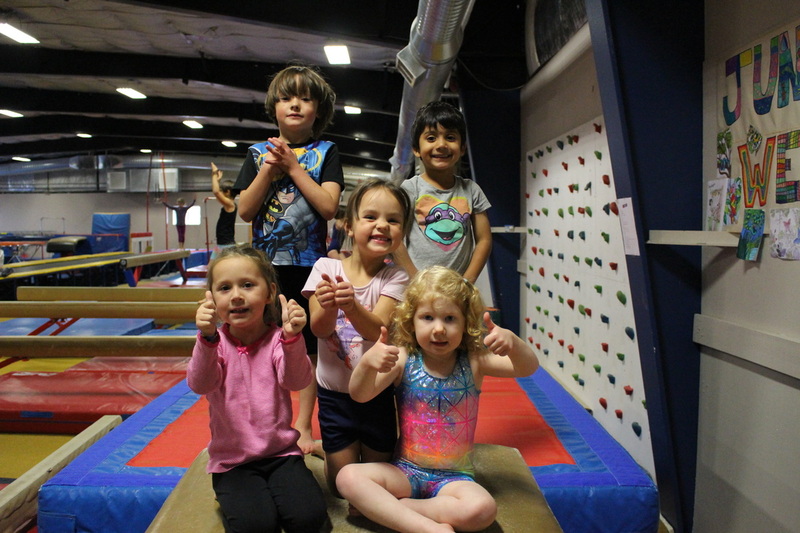 Toddlers will be learning skills and exploring different pieces of gymnastics apparatus in a FUN, SAFE, and creative/stimulating PHYSICAL environment. The Coach/Teacher will lead the children (and care-giver) and introduce key fundamental movement patterns such as swings, springs, locomotions, rotations, object manipulation, static positions, and landings. Spatial awareness, social interaction with other toddlers, sharing, and discovery will be learned. While Coach is teaching your little one how their bodies can relate to objects around them by exploring various circuits, going on, under, over, through and upside down safely and parent can be there to assist. A class of discovery and amazement for both you and your little one! This class was designed for a parent or guardian to help, but allows children to start developing independence in a structured class, following their Coach’s instruction. Your child will have fun learning the basic fundamental skills on all apparatus including; vault, floor, rings, bars, beam, and trampoline. By the end of the session, your child should be able to perform most elements of the circuits/skills/ on their own, with you as parents, proudly standing by watching and smiling at their success! 1 hour class without Parent, is about having FUN as well as focusing on listening to Coach and building independence and self-confidence. Child will be developing skills necessary to move forward into the Recreational Can Gym Program. Correct technique, building strength, co-ordination, following instructions, balance, social interaction, spatial awareness, enhancing fine motor skills, increasing flexibility, and building self-confidence through use of creativity, skill development, physical fitness, music, games and active participation. FUN, FITNESS, AND FUNDAMENTALS! Created with the skilled gymnast in mind, the Advanced Kindergym program offers younger athletes an opportunity to challenge their limits, attempting skills, drills and conditioning appropriate for their age and skill level! The instruction is geared to each athlete’s ability and development level. This class intends to build confidence, flexibility, coordination and skill development. Athletes will not only be using the CanGym level/testing system, but they will also receive a customized Advanced Kindergym report at the end of every session, which addresses skills/drills that are not included in the CanGym system. Learn the basics of Gymnastics or improve on existing skills. Utilizing the CANGYM badge program it allows athletes, Coaches, and parents to monitor progress in addition to being a motivational tool. FUN structured classes paired with an enthusiastic qualified coaching staff, will help your child develop into skilled and confident gymnasts! Athletes develop skills, make new friends, build strength, power, endurance, and gain flexibility in a safe, structured, fun, physical fitness environment. Junior Recreational Girls are split into levels 1-4 and levels 5-8. Junior Recreational Girls will develop their skill, strength, power, endurance, confidence, motivation, social interaction, and flexibility by performing skills and progressions on all apparatus including Bars, Beam, Floor Exercise, Vault, and Trampoline. They will continue to successfully attain individual levels through the CANGYM badge program. Keeping in mind the same goals as Junior Recreational, we have a group just for your pre-teens and young teens as well! 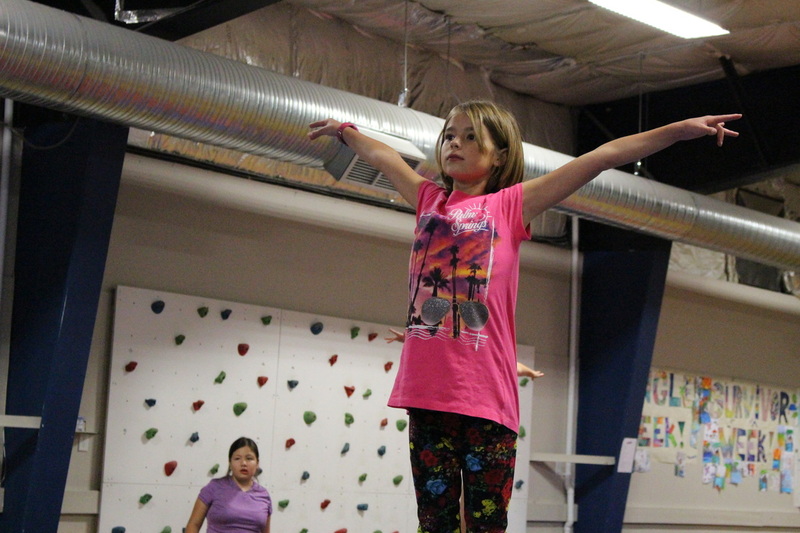 These classes are perfect for the first time or seasoned gymnast! The instruction is geared to each athlete's ability and development level. Again, using the CanGym level/testing system, this class builds on confidence, flexibility, coordination and skill development. The Advanced Recreational Girls program was generated for the athlete that wants to participate more than once a week. Classes occur twice a week, with each class being 2 hours long. Practices typically occur Thursday evenings and Sunday afternoons. The instruction is geared to each athlete’s ability and development level. This class intends to build confidence, flexibility, coordination and skill development. Athletes will not only be using the CanGym level/testing system, but they will also receive a customized Advanced Recreational report at the end of every session, which addresses skills/drills that are not included in the CanGym system. Learn the basics of gymnastics or improve on existing skill. Fun structured classes help develop strength and flexibility of your young athlete. Using the basics of men's gymnastics and the men's events to build the strength and spatial awareness required to approach advanced Parkour Skills. This class will spend the end of every class putting together an obstacle course/challenge. Focused on the individual needs of each athlete. Build strength and flexibility. Great for athletes who are curious about potentially joining the Elite Team. Athletes will learn the basics for tumbling and trampoline technique. Athletes will explore tumbling and trampoline, suited to the skill level of the athletes. They will utilize the trampolines, the tumble trak and the floor areas. Athletes will have an opportunity to work on specialized skills suitable for their age and skill level. Athletes will have an opportunity to tumble and use the trampoline to work on flips and tricks! STARTING WEDNESDAY SEPTEMBER 12TH FROM 9:30AM - 10:30 AM. QUALIFIED COACHING STAFF PROVIDING ADDITIONAL SUPERVISION. $10.00 per class (per child). Up to 2 children per adult. $32.00 Gymnastics Ontario Insurance Fee required per child on first visit. EVERY FRIDAY EVENING FROM 6:30 - 8:00 P.M. QUALIFIED COACHING STAFF IS ON SITE TO HELP YOU WORK ON SKILLS! $12.00 per class. $32.00 Gymnastics Ontario Insurance Fee Required on 1st Visit. AGES 14+ EVERY WEDNESDAY 7:30-9:00 P.M.
​$12.00 per class. $32.00 Gymnastics Ontario Insurance Fee Required on 1st Visit. SENIOR GIRLS AND JUNIOR BOYS GYMNASTICS & PARKOUR! CONTINUE LEARNING AND EXPLORING GYMNASTICS AND PARKOUR WELL INTO YOUR TEEN YEARS! GREAT FOR KEEPING FIT AND FOR SKILL DEVELOPMENT! PRESCHOOL DROP IN! BRING IN YOUR LITTLE TOTS WEDNESDAY MORNINGS FOR A LITTLE BIT OF FREE PLAY TIME IN THE GYM FILLED WITH OBSTACLE COURSES AND MATS! TUMBLING AND TRAMPOLINE CLASSES! LEARN ALL THINGS TUMBLING AND TRAMPOLINE! 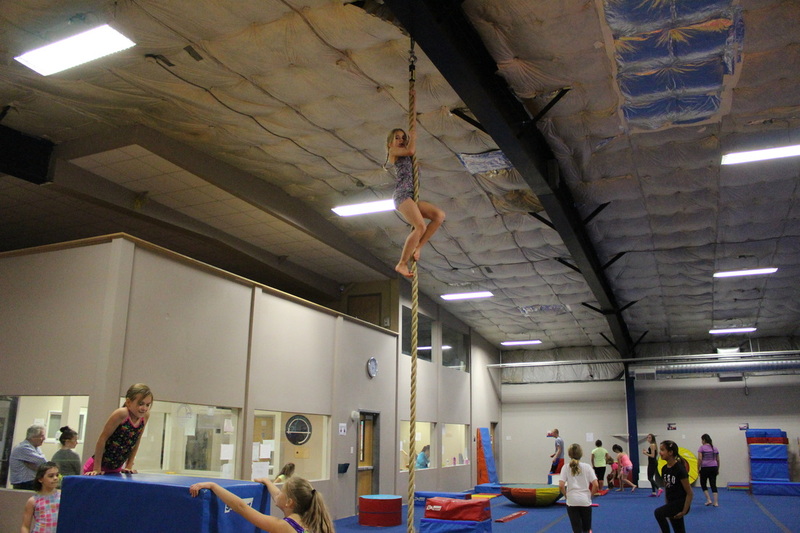 CARTWHEELS, ROUND OFFS, WALKOVERS, HANDSPRINGS, AERIALS, SALTOS, AND MORE! SEE THE CURRENT BROCHURE FOR MORE DETAILS!